WASHINGTON (Army News Service, April 17, 2013) — Beginning Aug. 1, 2013, every Soldier who elects to transfer their Post-9/11 GI Bill benefits to a family member will incur an additional four years in the Army, without regard to their time in service. That news comes in a message to military personnel, dated April 15, 2013. 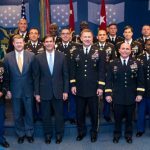 The new rule largely affects senior officers and enlisted Soldiers who are retirement-eligible. 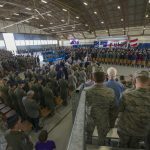 As of now, these Soldiers may be able to transfer benefits to their loved ones with anywhere from zero to three years of additional service. Soldiers who are not retirement eligible, electing to transfer their GI Bill benefits to a family member means re-upping for an additional four years. 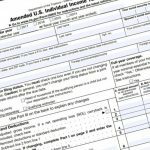 Come Aug. 1, that rule will apply to all Soldiers, whether they are retirement-eligible or not. “This is a benefit. 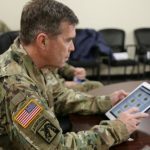 Soldiers are entitled to the benefit for their own use, but to transfer to dependents: that is used as a recruiting and retention tool,” said Lt. Col. Mark Viney, chief of the Enlisted Professional Development Branch, Army G-1. 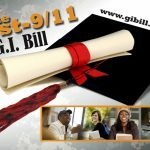 Viney also serves as the policy proponent for the Army’s Post-9/11 GI Bill Transfer of Education Benefits Program. Veterans Affairs, or VA, also has eligibility requirements for transferability. A Soldier must have six years of active duty in order to transfer his GI Bill benefits. In some cases, if a Soldier has incurred additional time in service in order to transfer GI Bill benefits to a family member, and is afterward unable to serve that additional time in service, he or she may be required to pay back those benefits. Viney said that as the Army draws down, some Soldiers will be involuntarily separated under force-shaping initiatives. 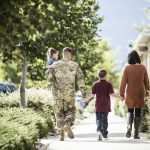 Soldiers who are separated early under such circumstances and who had previously transferred their Post-9/11 GI Bill education benefits to their dependents may retain the transferred benefits, without needing to repay them to the VA.